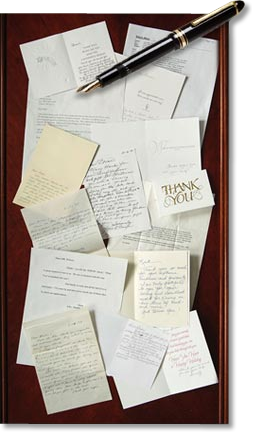 Our heartfelt testimonials over the years speak more than anything we can say about ourselves. All these Testimonials are on-file in our office. "Brian handled my claim great. I couldn't have asked for better!" "My claim was handled with complete professionalism and integrity and we were very satisfied." "I had no idea what to expect with my claim. And I was treated with respect. Never felt as if I asked anything stupid. I feel as if I made a new friend." "Thank you so much for the reimbursement check for the court costs. Brian, I just want you to know how much I appreciate you, not only as my legal advisor but as a person that you are and the values that you uphold. Thank you for this and so much more." "...We are so pleased with the way you’ve handled our case!" "...I am truly grateful to you for your caring and excellent work..."
"...I will recommend you to anyone in the future who needs a great attorney." "...I just want to thank you for all the time in preparation that you have done..."
"Thanks for everything... What a beautiful and life-impacting thing you have done for me..."
"We would like to take this time to send our sincere thanks for all your hard work. You really took great pains to work with us..."
"The words ‘Thank you’ are not adequate to express how much I appreciate all you do... Your friendship is quite special..."
"Thank you so much for your extreme kindness and generosity..."